Tonight I made Sweet and Sour Chicken Skewers, along with the Creamy Mashed Potatoes that I posted earlier. I love sweet and sour chicken, and always thought it was too hard to make. This recipe from Semi Homemade is so simple and the sweet and sour sauce doesn't include a lot of crazy ingredients. I pretty muched followed Sandra's recipe, but only ended up using 5 skewers (not sure why I only prepared 5). 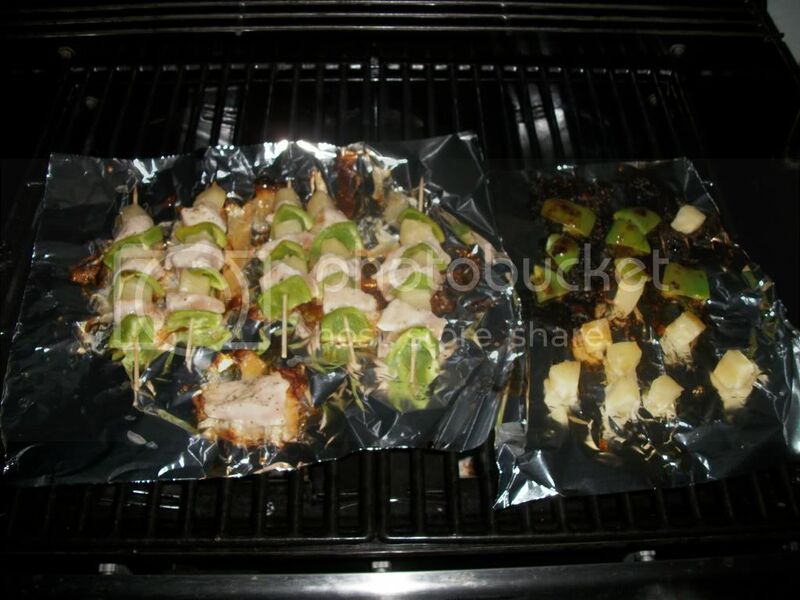 I had some extra chicken, pineapple and green peppers, so I just threw those on the grill as well. I figured I could take those extra pieces to work for lunch. Please note: Do now crowd your chicken pieces. I did this and some of the sides did not get done. I had to throw a few of them in the oven to finish cooking. I have made this before and left some room between them, and it worked much better and your chicken will get completely cooked on the grill. Put the vinegar, sugar, reserved pineapple juice and cornstarch slurry into a small saucepan. Bring to a boil over medium heat, then reduce heat and simmer until the sauce thickens, about 8 minutes. Remove from heat and set aside. Reserve half of the sauce in a small serving bowl to be used as a dipping sauce alongside the skewers. 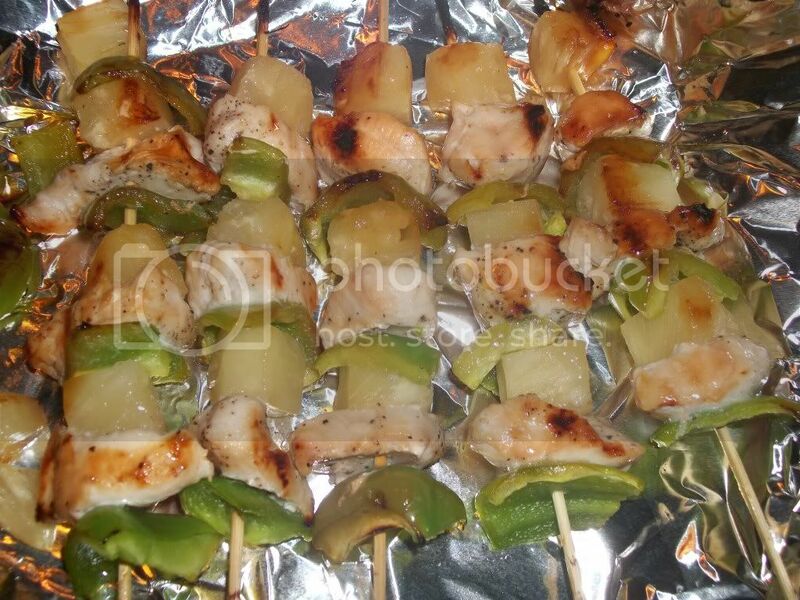 On each of the 8 skewers, place 1 chunk of pineapple, then a piece of chicken thigh, followed by a piece of red pepper. Repeat with another piece of pineapple then chicken, then red pepper. Season skewers with salt and pepper, to taste. Grill the skewers on oiled grill, cooking for 4 minutes on each side. Brush the sweet and sour sauce all over the skewers and grill and additional 2 minutes per side. Remove to a serving dish and serve with the reserved sweet and sour sauce, for dipping. Yum! I love trying different types of skewers, and these sound amazing!